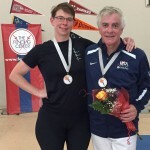 James Mulligan won silver in both the Div II and Div IA events at Region IV ROC – Denver, CO. His Div IA second place earned him his B2016 and qualified him for Div IA at Nationals/July Challenge in Dallas this summer. 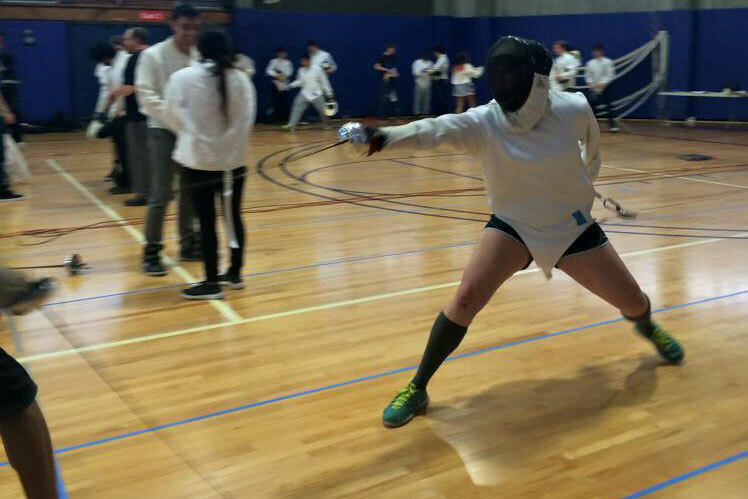 Tristan Barca-Hall placed 14th in the Div II event and 28th in the Div IA event at the Region V Wang Memorial ROC – Dallas, TX. 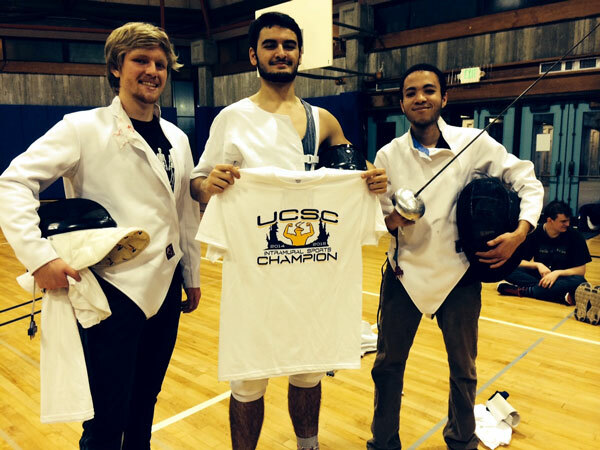 Alessio Bernardi and Marshall Carter tied for Bronze at the last TFC FoilThon in San Jose, CA. 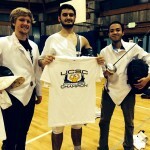 Posted in Uncategorized	| Comments Off on Grats to Santa Cruz! We all have a role to play in creating a healthy setting for sport. 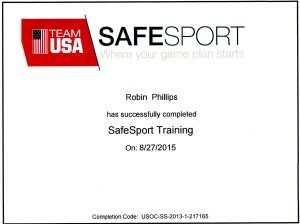 SafeSport helps raise awareness about misconduct in sport, promote open dialogue, and provide training and resources. 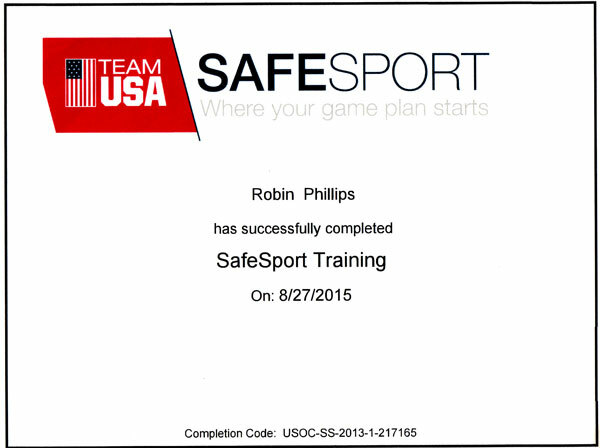 When we work as a team, we can build a game plan to make sport safe―for everyone. Grats to Kim and Al for their Silver at the San Jose ROC! 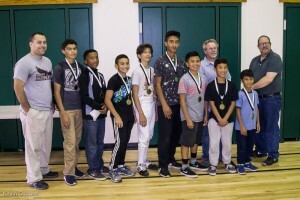 Every year Salle Santa Cruz brings all of our electric fencing gear and hosts a novice tournament for the kids at Bolsa Knolls and Gavilan Middle School in Salinas. The Navrati celebration held every year in the gym is again in session. 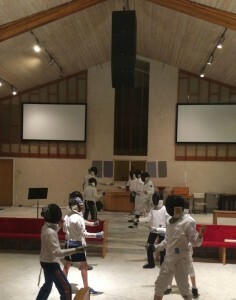 To avoid missing so many fencing classes, I’ve made arrangements with the pastor so that we may fence in the church sanctuary Tues and Thurs evenings through October 27th. Posted in Uncategorized	| Comments Off on Holy tiptape Batman! In addition to Adult CPR AED, this certification meets the regulatory and credential training requirements for childcare workers, teachers, foster care workers, youth leaders and others responsible for children. 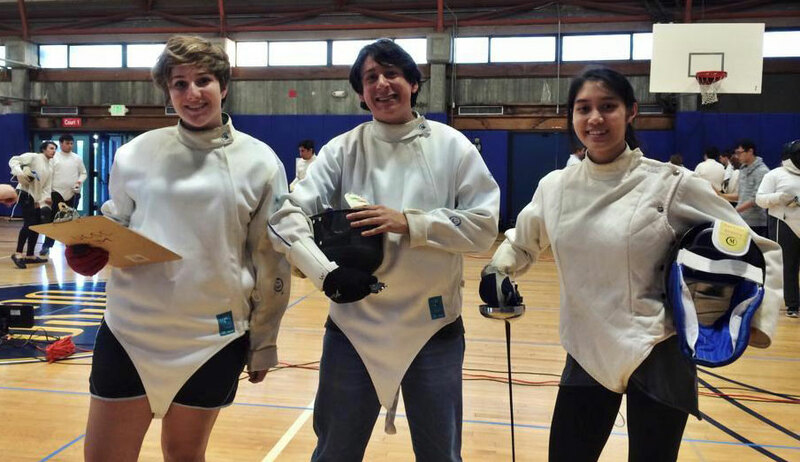 We had 9 people competing in 5 of 6 events (men’s/women’s foil & epee and women’s saber). All that competed qualified. Congrats to the following! 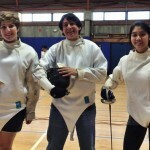 For the first time in a long time UCSC had Intramural fencing, of a sort. We got ’em registered and dressed. I provided a whopping 15 minute tutorial which mostly consisted of 1. How not to hurt each other accidently and 2. How not to break the fencing gear. And… we got it done in 3 hours… including set-up and breakdown. Once again Salle Santa Cruz will be co-hosting the Santa Rita Invitational at Bolsa Knolls Middle school in Salinas California. In 2012 there we 54 competitors. Last year we had 67 competitors competing on 7 electric strips. This year promises to be just as fun! To run the tourney, Salle Santa Cruz will be closed Saturday 11-1. We are extremely excited to become a part of this years Santa Cruz Challenge, a structured 12-week HEALTH and FITNESS program/ contest! Salle Santa Cruz will open its doors to the Challengers the week of 11-8-2014. Helping folks to discover healthy, fitness based passions… It’s a good thing. 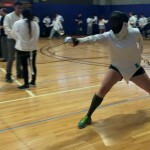 Posted in Uncategorized	| Comments Off on Challengers, en garde!